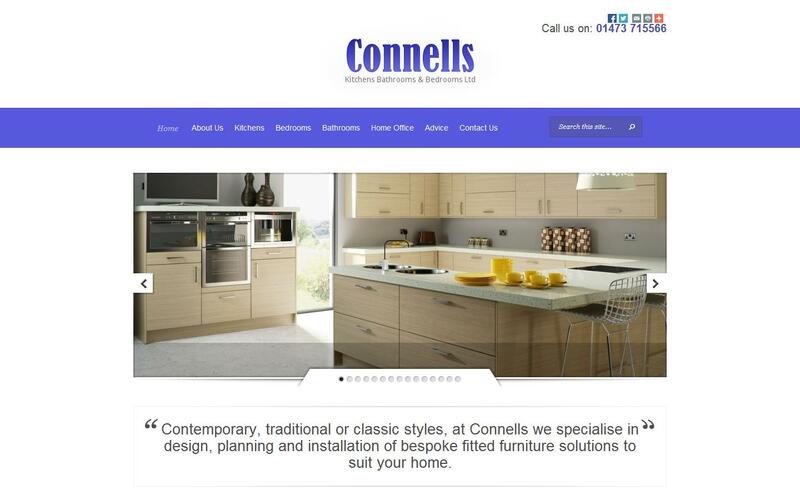 Connells is a family business with 27 years experience of designing and installing bespoke fitted kitchens, bedrooms, bathrooms and home office furniture from our range of highest quality traditional, elegant and classic designs to modern and contemporary styles. Our experienced professional fitters benefit from many years training and experience. Our complete service extends from planning to installation, but we are equally happy for our customers to employ their own fitters, plumbers and electricians and simply supply our products should you prefer. The style and finish of furniture is entirely of your individual choice, combined with the advantages and practicalities offered by bespoke fitted furniture, maximising use of all available space and incorporating the integral features of your choice. We offer free design planning and quotations and any advice you require. Our Ipswich showroom offers displays of our fitted furniture.